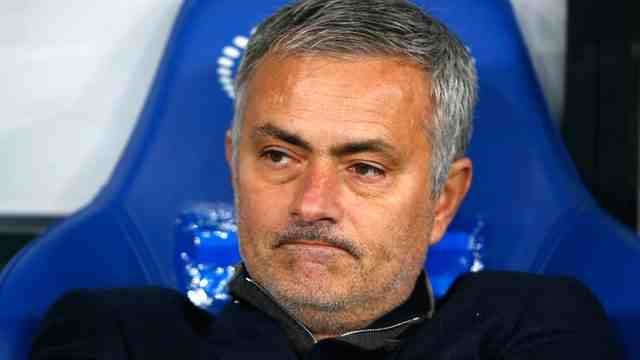 It's The Normal One’s chance to get the better of the faltering Special One on Saturday as Jürgen Klopp prepares his side to face Chelsea at Stamford Bridge. The Londoners currently find themselves 15th in the table with the Reds sitting in 9th. Injuries for Liverpool mean there is a doubt hanging over Christian Benteke, I seriously hope he's fit to start because we're going to really struggle without him. James Milner will also be available after serving a ban. For Chelsea, it is not clear whether striker Diego Costa will be fit enough to start but Nemanja Matic returns to the side. Courtois and Ivanovic are both unavailable. The last time the two sides met was in May this year. Steven Gerrard was on the scoresheet but the game ended 1-1. The last win at Stamford Bridge for Liverpool in the league was in November 2011. Daniel Sturridge netted for Chelsea that day but it was Glen Johnson who sealed the deal for the Reds. Liverpool welcome Bournemouth to Anfield on Wednesday evening as they aim to progress through to the next stage of the League Cup. It was far from plain sailing for the Reds when they eventually got the better of Carlisle earlier in the competition via a penalty shootout so it would be nice to see a smooth ride for a change. It will be interesting to see whether Jurgen Klopp utilises this fixture to test out the talent of his youth or if he uses the opportunity to notch up his first win as Liverpool manager. A strong starting XI however would still not guarantee Liverpool victory, with Premier League opposition to contend with and a team that are still finding their strengths under the new boss the Reds need to start scoring goals and winning games. 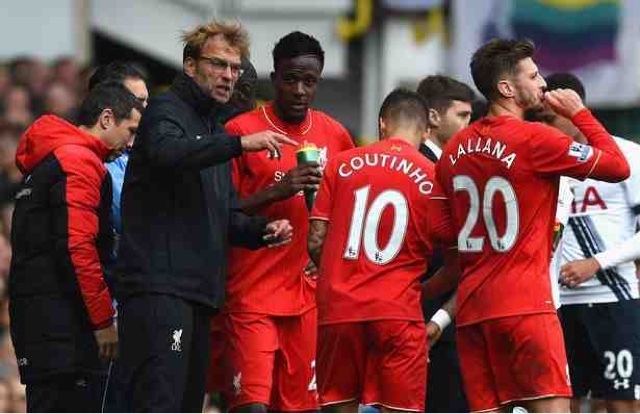 It was another draw for Jürgen Klopp on Sunday as Liverpool let a late lead slip in a 1-1 draw. It was a relatively drab performance from the Reds and it's clear as day that Klopp will be unable to really stamp his mark on this team until he reaches the January transfer window. The manager opted not to start Christian Benteke or Roberto Firmino and it's understandable that he didn't wish to risk two of his key players but Liverpool struggled to create a presence from the off due to a lack of quality. A few half chances in the first 45 from the likes of Milner and Coutinho were little to grasp hold of, it was just lucky that Southampton hadn't really found a strong footing either. It's Southampton at home for Jurgen Klopp's team on Sunday but will the boss be able to get the better of Ronald Koeman's side? The Reds still have injury worries to contend with and a lack of confidence in front of goal whilst Southampton can recall some top performances of late including a recent win over Chelsea at Stamford Bridge. Injuries for Liverpool are still creating a bit of a problem as it looks as though Daniel Sturridge may be unavailable. The forward had to undergo another scan on his knee and it's not clear whether he will make the bench. Positively, Christian Benteke and Roberto Firmino are back however Danny Ings and Jordan Henderson are both out long term. For Southampton, they may have to assess the fitness of Jay Rodriguez late on after he suffered a knock. It looks as though Stekelenburg has recovered from a back problem though so Koeman will have his usual keeper in place. Liverpool managed just a draw at home against Rubin Kazan on Thursday evening, despite the fact the visiting side played the majority of the game with ten men. Whilst this kind of result may have been questioned under Brendan Rodgers, for Jürgen Klopp it is simply a matter of finding his team in a pool of frankly average players. With injuries to contend with and the realisation that some of his team members just aren't up to scratch it is clear Liverpool struggled to really put the pressure on Kazan, however there are players who appear to have instantly benefited from Klopp’s influence such as Adam Lallana and Emre Can. 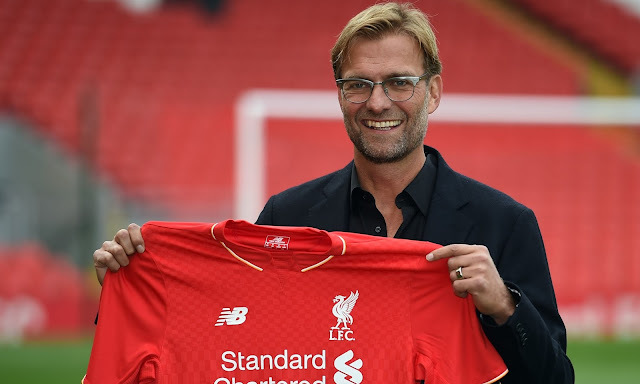 As the excitement of Klopp's first game began to fade at the start of this week, a renewed excitement is bubbling as we look forward to welcoming Klopp to Anfield for his first home game as manager. His opposition? Rubin Kazan in the Europa League. Liverpool have a massive injury list to contend with recent news appearing to reveal that the likes of Benteke, Firmino and Sturridge would be available for selection on Thursday. 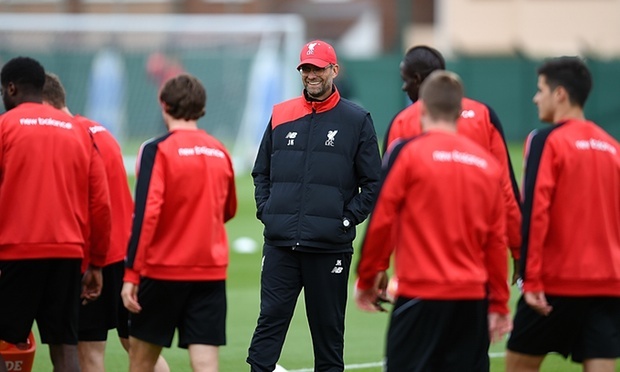 However, Klopp has revealed in his press conference today that those players will still be unavailable. Kazan have a relatively strong squad to choose from however their midfielder Sergey Kislyak is unavailable as he serves a ban. 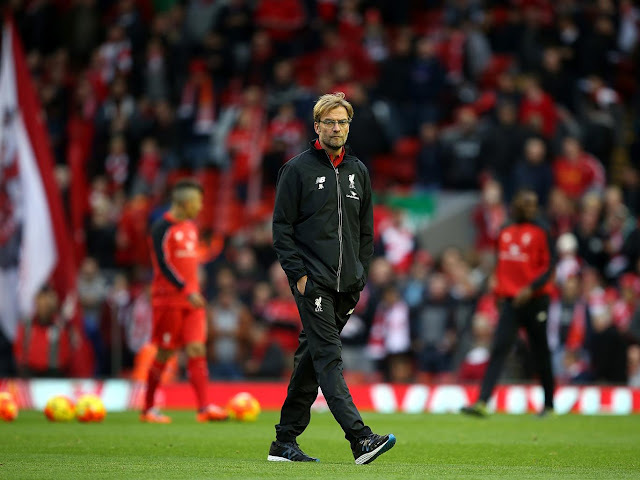 After all the anticipation, Klopp’s first game as boss of Liverpool Football Club ended in a 0-0 draw. 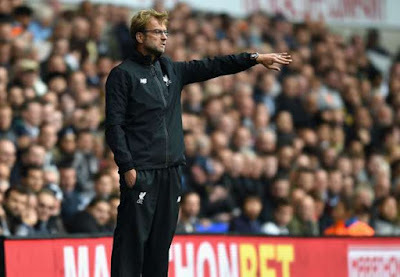 With the late announcement of Daniel Sturridge being unavailable along with a multitude of other injuries to contend with, Klopp’s hand was forced and I doubt you'll find any fan displeased with a 0-0 draw at White Hart Lane. With no other options available it was Origi who led the line for the Reds and I hate to say it but his inexperience showed for me. He definitely wasn't helped by having to play up front with no support but I don't think he made any real impact, even when he did receive the ball he followed up by losing possession or a tame shot. Finally! After what seems like an absolute age, Jürgen Klopp steps out for his first match as Liverpool manager on Saturday against Spurs. I have no idea who he's going to pick in his starting XI and I'm not sure after assessing training and injuries what sort of set up he's going to go for so this match preview may not be the most useful this week! Injuries for Liverpool have taken a turn for the worse as we lost both Gomez and Ings long term this week. 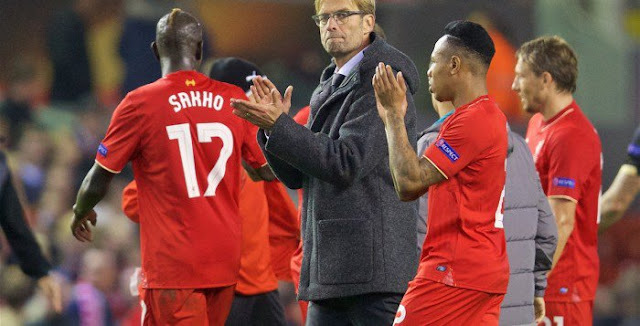 It's really frustrating because both players could have had a big presence under Klopp, here's to speedy recoveries. 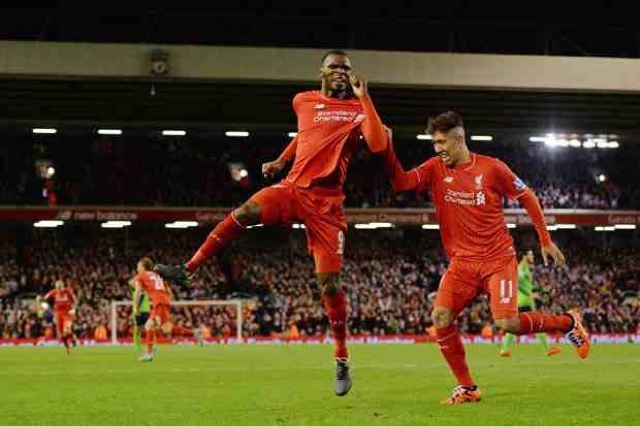 Also confirmed as unavailable by the boss are Firmino and Benteke. For Spurs, They have a few names on their injury list with the likes of Mason, Heung-min, Bentaleb and Pritchard all out. Pochettino however has gained some good news with the return of Danny Rose. Jürgen Klopp: Who Is He? Well, apparently he's the "normal one" but for those of you who don't know a lot about the German's background I thought I'd do a quick rundown of our new manager welcoming him to Anfield. His press conference was simply brilliant and it's clear he's a charismatic and confident leader, the media lapped it up, the fans lapped it up and you can guarantee the players will too. I can't wait for the Spurs game! Jürgen Norbert Klopp was born in Stuttgart, he's just gone 48 years old and in his playing days he played as both a striker and a defender. He spent his playing career at FSV Mainz 05 and his love for the club eventually saw him take over as manager in 2001. He managed Mainz for seven years and during that time he gained them promotion to the Bundesliga. It was here where he began to show his talent and resilience, taking a club in a difficult situation and building them up. Liverpool managed to collect a 1-1 draw at Goodison Park on Sunday afternoon, but the real headline fell to Brendan Rodgers when just an hour after the game had finished FSG decided to sack their manager. The news filtered through later in the evening sending Twitter into a storm. Some fans were elated other were saddened, some, like myself weren't really sure what they were feeling but I think most would agree it was time for a change. I don't want to go too much into the fate of Brendan Rodgers as I will cover this in my Shoot post on Wednesday (follow my Twitter to see it first - @LFCKirstyLFC). Prior to kick off it looked as though Liverpool might have been given a lifeline when it became clear neither Stones or Coleman would be available in defence. A recently returned Daniel Sturridge would surely be able to take advantage of the weakened back four? 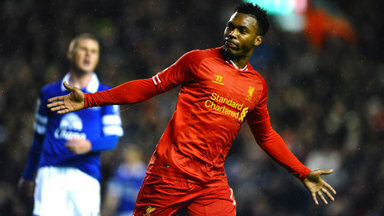 Sturridge though would not be the man in focus, in fact it would be his fellow forward Danny Ings. After failing to get the better of FC Sion at Anfield on Thursday evening, there's no escaping the pressure cooker for Brendan Rodgers. With a string of poor results and rumours rife that his replacement is being lined up, the manager can accept nothing more than a win in this all important Merseyside derby. Rodgers has pointed to the fact that he is yet to lose a derby as manager but relying on such statistics is a dangerous ploy, especially when the Reds are failing to perform and Everton are actually playing pretty well. Injuries for Liverpool mean they are without Firmino, Henderson and Lovren whilst Christian Benteke will be subject to a late fitness test after suffering hamstring issues. For Everton, the game could make perfect timing for John Stones and Seamus Coleman who are rumoured to be returning. Kevin Mirallas is serving a suspension. 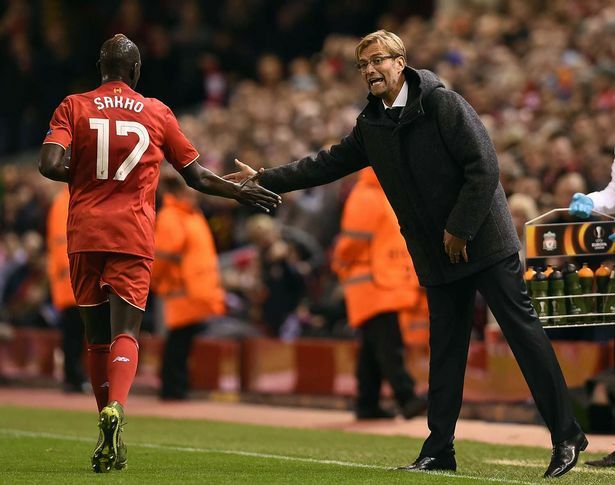 Liverpool welcomed FC Sion to Anfield on Thursday night and whilst I was unable to watch the match this time out, just the highlights, I'll do my best to give you a run down of the key events. As much as I love a good natter this is another boring factual post but don't worry, I'll have a rant on for the Merseyside Derby, I can almost guarantee that! Rodgers made seven changes to the side that featured against Aston Villa at the weekend but he retained faith in some of his usual starters such as Mignolet and Ings. The Reds didn't take long at all to get off the mark in the game when Adam Lallana scored with a shot from the centre of the box. 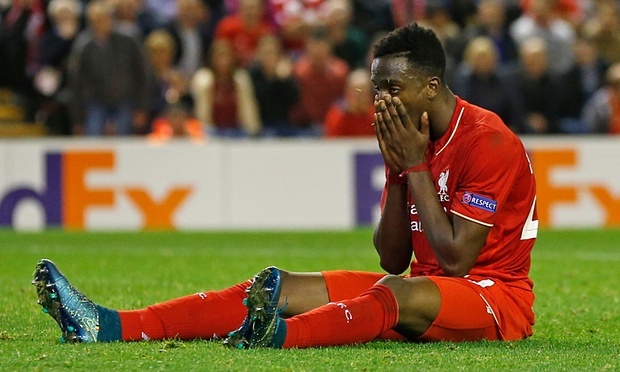 He was assisted by Origi who had been given a call up after playing a bit-part role recently. While Liverpool appeared to gain some control during this portion of the game, Sion quickly put a stop to the Reds' complacency after Assifuah netted for the away side on the 17 minute mark with a right footed effort.